The Academic Outreach Function is Strategic Plans & Policy Division's portal to Academia and Think Tanks. It is responsible for the establishment of cooperative relationships, as well as coordinating the Division's engagements with academic institutions. All related activities are designed to improve ACT's Academic network for the mutual benefit of HQ SACT and our partners. The Academic Conference, an annual event that ACT sponsors and organizes in collaboration with partner Academic Institutions, is the major event in support of the development of the Academic Network. Associated with our existing MOU, the Academic Conference has been historically organized in cooperation with the University of Bologna. 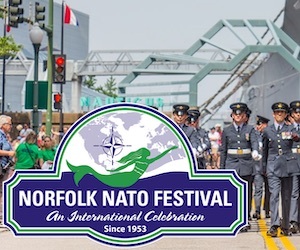 The NATO Model Event is a decision-making simulation modelled on the NAC format, carried out by the AcOR Team together with a partner Academic Institution. It serves as a primary engagement effort for current students, as well as a tool offered to engage new partners. The Young Professionals Day (YP Day) promotes direct engagement with a generation of future leaders. It is designed to engender debate and information sharing that will help inform future policy-making in the Alliance. 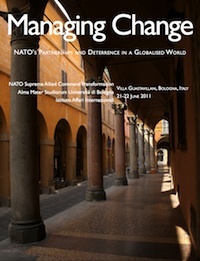 Headquarters, Supreme Allied Command Transformation (HQ SACT) of NATO, together with the University of Bologna and the Istituto Affari Internazionali (IAI) of Rome have jointly organized an international conference on Managing Change: NATO’s Partnerships and Deterrence in a Globalized World. The conference was held in Bologna (Italy) the 21st and 22nd of June 2011, and it was an important aspect of a long-term commitment by HQ SACT to broaden and strengthen its engagement with the academic world. 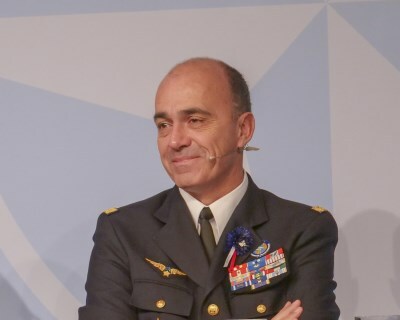 It was the first step in the building of an Academic Network aimed at establishing a stable and fruitful connection between HQ SACT and security experts, practitioners, and officials from both Europe and the United States. The meeting comprised both plenary sessions and participatory working groups, each of which focused on a different aspect of the Conference’s broader topic. The works yielded by the Conference have been gathered into a collection, published in this page. The Academic Conference is the climax of the Strategic Plans & Policy Division's annual Academic Outreach cycle, which aims to develop and foster ACT's relationships with universities and Think Tanks. 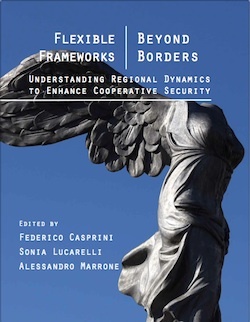 This event, organized in cooperation with the University of Bologna and IAI – Istituto Affari Internazionali, brought together selected ACT Staff with top-level academics and practitioners from both sides of the Atlantic to discuss in depth topics of strategic relevance to the Alliance. 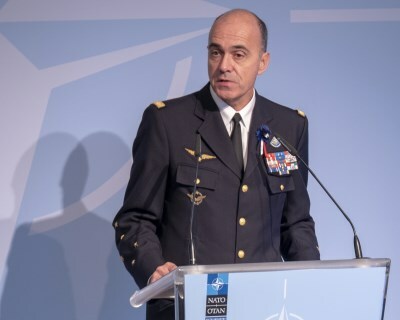 The title of 2012 Conference, "Dynamic Change: rethinking NATO Capabilities, Operations and Partnerships," draws from the priorities set at the Chicago Summit and offered the opportunity to identify some of the trends that may shape the future security environment. The 2012 Academic Conference took place in Villa Guastavillani, Bologna, on the 26th and 27th of October 2012. Click here to download "Dynamic Change - Rethinking NATO's Capabilities, Operations and Partnerships", the outcome of the Conference. 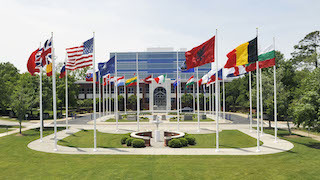 Headquarters Supreme Allied Commander Transformation (HQ SACT) is "NATO's agent for change, leading the continuous improvement of Alliance capabilities to uphold NATO's global security interests". The Conference "Flexible Frameworks, Beyond Borders - Understanding Regional Dynamics to Enhance Cooperative Security" organized by NATO Allied Command Transformation (ACT), the University of Bologna and Istituto Affari Internazionali (IAI) of Rome, is the third iteration of ACT's Academic Conference series, and it took place at the Centro Residenziale Universitario of the University of Bologna in Bertinoro (Italy), from the 15th to the 17th of May 2014. The success of the event was due to the joint efforts of the three institutions. 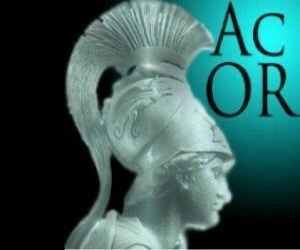 The annual Academic Conference "WHAT NATO FOR WHAT THREATS? 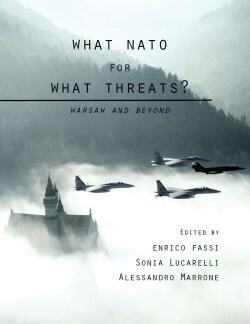 WARSAW AND BEYOND" is organized by NATO Allied Command Transformation (ACT), the University of Bologna and Istituto Affari Internazionali (IAI) of Rome. This is the fourth iteration of ACT's Academic Conference series, and it will take place at the Centro Residenziale Universitario of the University of Bologna in Bertinoro (Italy), from the 4th to the 6th of October 2015. The NME is a decision-making simulation modeled on the NAC format, carried out by the AcOR Team together with a partner Academic Institution. It serves as a primary engagement for current students, as well as a tool offered to reach out to new partners. The NATO Model Simulation is designed to provide students with exposure to decision-making within NATO. Each student will play the part of a National Permanent Representative (Ambassador) known as Perm Reps (abbreviation for "Permanent Representatives"), representing his/her Nation in the North Atlantic Council or NAC. 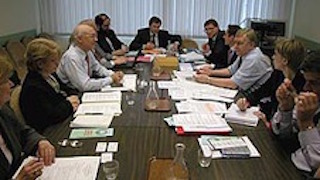 Additional staff, such as the Chairman of the Military Committee will be played by ACT to provide any specific military advice or guidance as it is called for. 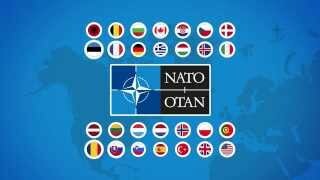 The NAC is the highest level of decision making in NATO. 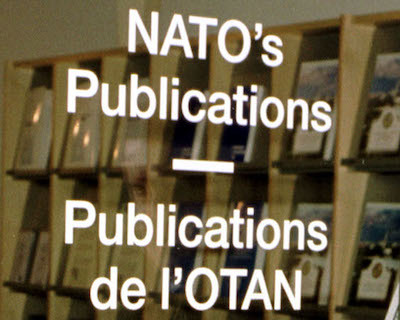 It is chaired by the Secretary General and is the arena in which ultimately all NATO actions and activities have to be agreed by a process of consensus. This process requires the consent of all 28 Allies to approve a motion. Even a solitary dissenter is enough to prevent NATO action and hence, the importance of individual interventions by National Perm Reps to promote debate and craft proposals acceptable to all Allies cannot be overstated. Allied Command Transformation promotes the "Young Professionals day" program as a way of identifying professionals between the age of 25 and 35, knowledgeable in the field of International Relations, Diplomacy, International Security and/or Economy, working in governmental agencies, industry, think tanks, and research institutes (both public and private). The goal of the Young Professionals day is to involve directly a generation of future leaders in the process and debates that will help inform future policy-making of the Alliance. Each NATO Transformation Seminar is abided by a Young Professionals day, hosted by Supreme Allied Commander Transformation. This is a combined one day event. The objective is to bring together a group of young security and defence professionals from across the Alliance and from partner nations, to provide them with an opportunity to influence policy, build networks, engage with senior decision-makers and thought leaders, enhance their knowledge of NATO’s mission and current challenges to that mission. This day event took place in Budapest, Hungary on March 21st, 2017, in connection with the NATO Transformation Seminar. Click here to download the "Young Professionals day 2017 Final Report". Click here to read the IISS' article on the Young Profesisonals Day 2017. Young Professionals day is an annual, solutions-oriented exercise hosted by ACT alongside the NATO Transformation Seminar. 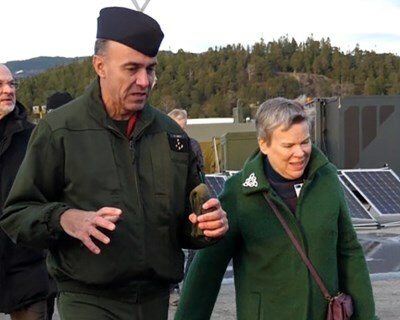 The NATO Transformation Seminar enables the North Atlantic Committee and Military Committee supported by academics and subject matter experts to discuss the long term strategic context, corresponding challenges and opportunities at a most opportune time. Young Professionals day 2015 was hosted in Washington, DC at the Atlantic Council on Tuesday, March 24th. The 2014 event built on the success of the previous three Young Professionals day events in 2012, 2013, and 2014, convening sixty rising leaders from across the NATO alliance. Delegates participated in a full-day of working group discussions with peers from around the world and senior thought leaders, with the goal of producing a list of recommendations for NATO decision makers by the end of the exercise. With support of Atlantic Council, Allied Command Transformation worked with delegates during the weeks immediately following Young Professionals day to transform these suggestions into a report highlighting the key takeaways from the event. 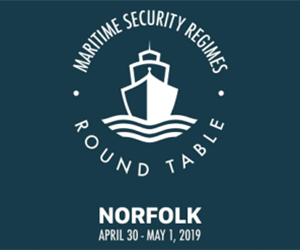 Working group topics focussed on the broad theme of assurance and adaptation for the future in a fluid security environment, and mirror the discussion topics of the NATO Transformation Seminar of the following day. Click here to download the "Young Professionals day 15 Final Report", the outcome of the Young Professional discussion. The Young Professionals day 2014 was conducted on 10 April 2014 in Paris, France. Allied Command Transformation's mission is to forge the future of the Alliance, and we cannot seriously do that without the contribution of those who are going to lead it. Good ideas do not depend on age, and yet too often seniority remains a major discriminant when it comes to contributing to the policymaking process in the international security and defence sectors. The idea behind the Young Professionals Day is precisely that: create an opportunity for a generation of future leaders to engage NATO, offer their insights on topics of strategic relevance to the Alliance, thus contributing to its evolution. The objective of the YP Day is twofold: on one hand it is devised to engage top-level young professionals with NATO; and on the other the event will develop an alternative analysis—from a different age-group—on SACT Seminar's topics, that will eventually feed into the Seminar's final report. Click here to download "YPD 14", the outcome of the Young Professional discussion. The 2013 event, "Young Professionals Forging the Future" is organized together with the Center for Transatlantic Relations at Johns Hopkins University SAIS, the Center for Strategic and International Studies, and the Atlantic Council of the United States. Together with these academic partners, ACT has selected a group of about 60 young professionals and practitioners in foreign policy and international security from think tanks, academia, government, and industry, to participate in a unique dialogue with peers and NATO leaders, as well as senior leaders from three of the most prominent think tanks of the United States. The Young Professionals Day is HQ SACT's leading effort to promote engagement with future leaders. It does so by creating the opportunity for talented young professionals to actively contribute to the development of policy and strategy works within the Command. 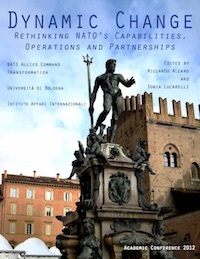 Click here to download "The Future of NATO", a report from Young Professionals Day 2012.